Master of Arts in Clinical Mental Health Counseling is designed to prepare graduates for positions as professional counselors, the program meets coursework requirements toward professional licensure. Courses are available evenings and weekends or online to cater to working professionals. For the convenience of students, courses for the counseling program are available at all three campuses of LRU in Hickory, Asheville, and Columbia, S.C. The programs in Hickory and Asheville are accredited by the Council of Accreditation for Counseling & Related Educational Programs (CACREP). Accreditation in Columbia is pending. Master of Arts in Human Services is designed to prepare graduates as human service professionals to manage care for vulnerable client populations, manage public or nonprofit organizations and administer programs and services. Students can specialize in Administration, Addictions Counseling or Career Counseling. The program is available entirely online. Professional Master of Science in Athletic Training Education is designed to prepare graduates for positions in the field of athletic training in a variety of employment settings. Available at LRU’s Columbia and Hickory campuses. Students are required to complete their initial didactic training in Hickory, but then offers fieldwork placement in or near Columbia. The program is accredited by the Commission on Accreditation of Athletic Training Education (CAATE). Through the articulation agreements, Newberry College students receive several admission benefits. LRU will reserve two spots for qualified Newberry College students in each of the three graduate programs as well as provide priority admission for other qualified students. In addition, the application fee will be waived for all students, and the GRE/MAT requirements for students selected for reserve and priority admission will also be waived. 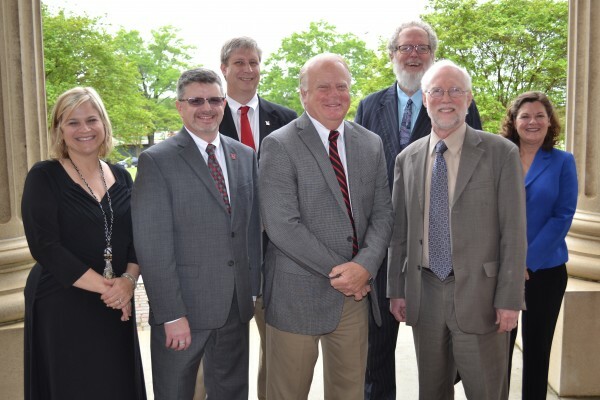 Dr. Amy Wood, Assistant Provost and Dean of Graduate and Adult Programs at LRU, noted that the agreements are mutually beneficial to the institutions and students they serve.